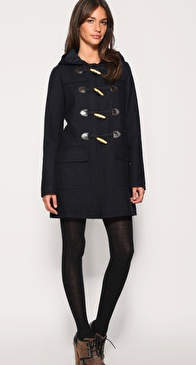 Britney asks: " I'm in love with Alexa Chung's navy coat. Please help me find a similar version for less. My budget is under $100." VFB: Hi Britney, here's a version we found from Asos that retails for $77. They also have it in beige. Hope this helps!